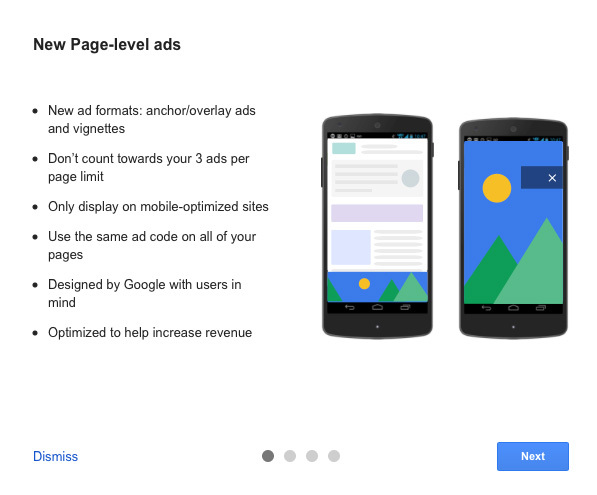 Google announced the launch of a new ad type named page-level ads. 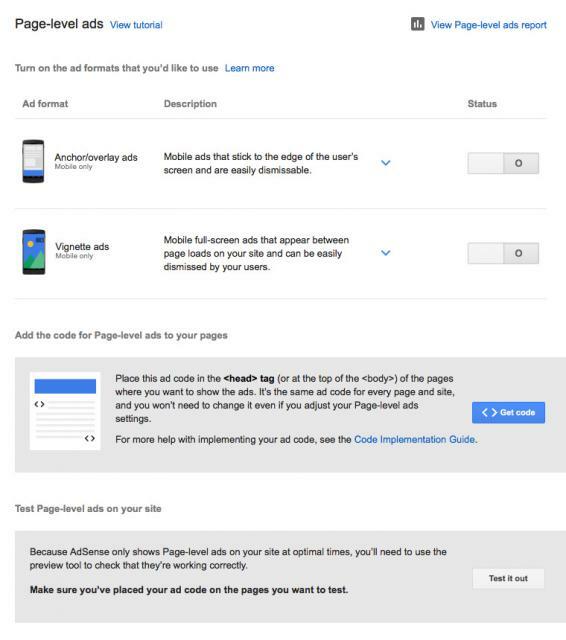 These page-level ads are designed for mobile pages and there are two specific ad formats; anchor/overlay and vignette ad formats. Google said more formats are coming soon. 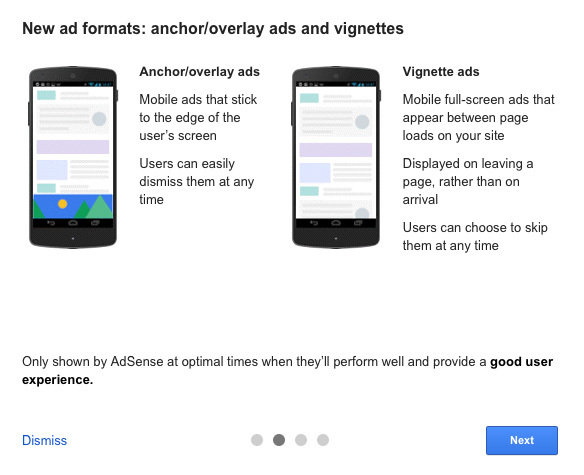 Optimized ads that show when they’re likely to perform well and provide a good user experience. 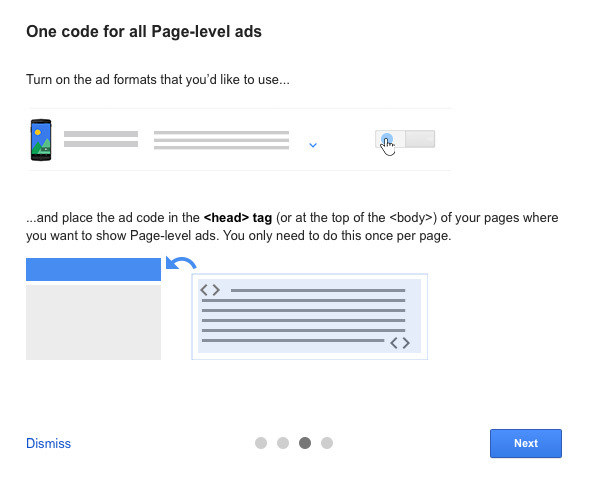 One-time set-up that only requires you to place the Page-level ad code once on each page you’d like the ads shown. Ability to adjust the settings in your account and to enable new ad formats without having to change the code on your site. 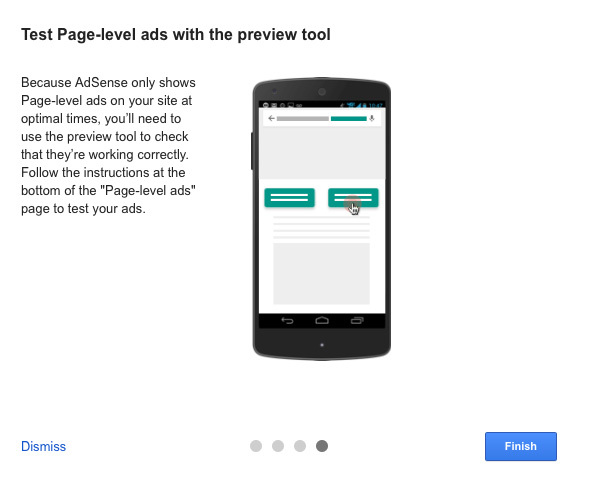 Additional ads on your site that don’t count towards your AdSense per page ad limit. So far, publishers seem skeptical if they will generate revenues.